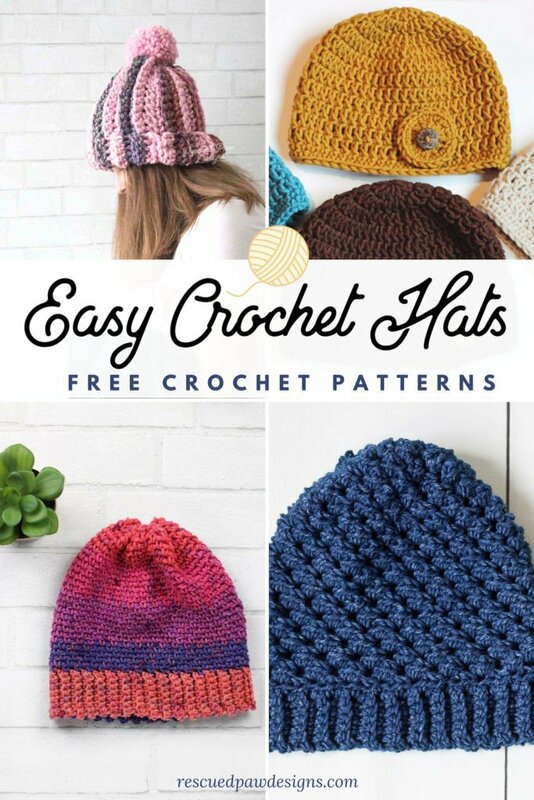 With so many different patterns for crochet hats on the internet sometimes it’s hard to pick just one. To help I rounded up a few that are easy to work up, use simple stitches and are perfect for beginner crocheters. Read on down to find the list to get started today. 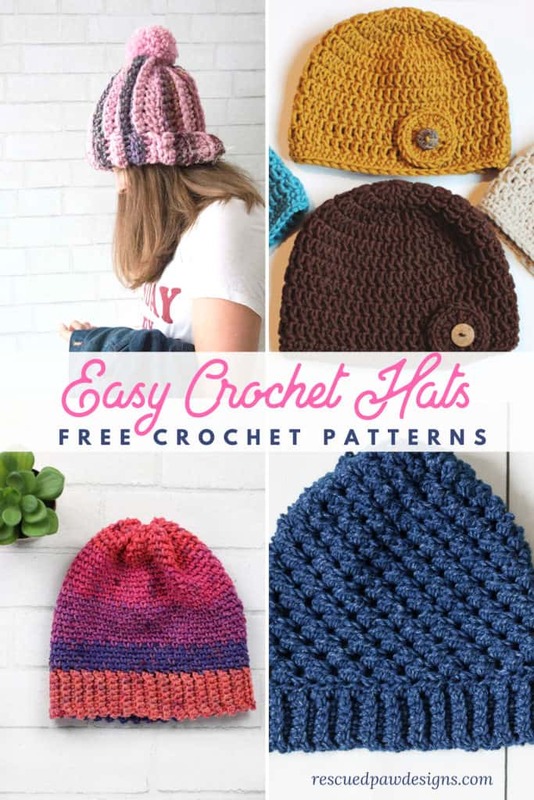 What are some simple Crochet Hats to make? I love crocheting up simple beginner friendly designs so I thought you’d love to do the same. They make perfect gifts, are great for donations and use up little yarn. Most of my simple designs are born out of necessity because it is a day before we need to go somewhere or I need a gift so I have to crochet something up quick. If you have been around the RPD blog a long time then you will know that I love creating simple patterns such as Sam’s color blocked blanket, the one hour cowl and many more! I hope you like this round up just as much as I do. I love using all types of yarn so I thought I’d share a few of my favorites that I recommend trying. There are different weights and brands which makes them easily accessible. Thank you Amazon! After you take a look at the yarn and the patterns below let me know what you think! This button hat was one of my first crochet hat designs a few years ago and still is one of my favorites to date! It does use Lion Brand Woolspun (which is no longer available) but any yarn can be substituted with a similar weight. 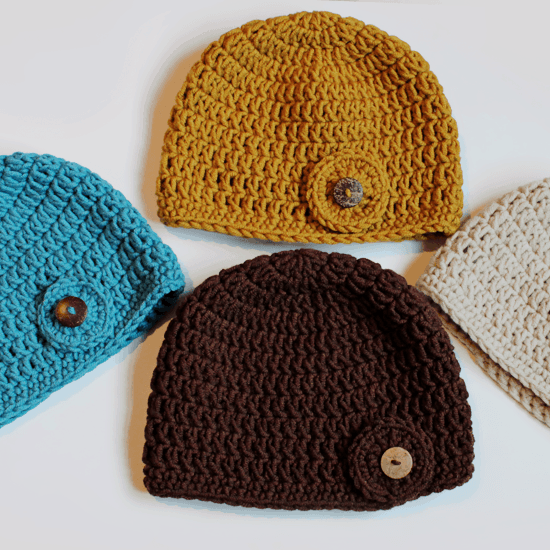 The Leigh Crochet Hat uses Jeans yarn from Lion Brand (which is awesome! ), was designed for a great cause and works up fast! Let me know if you decide to make this one! 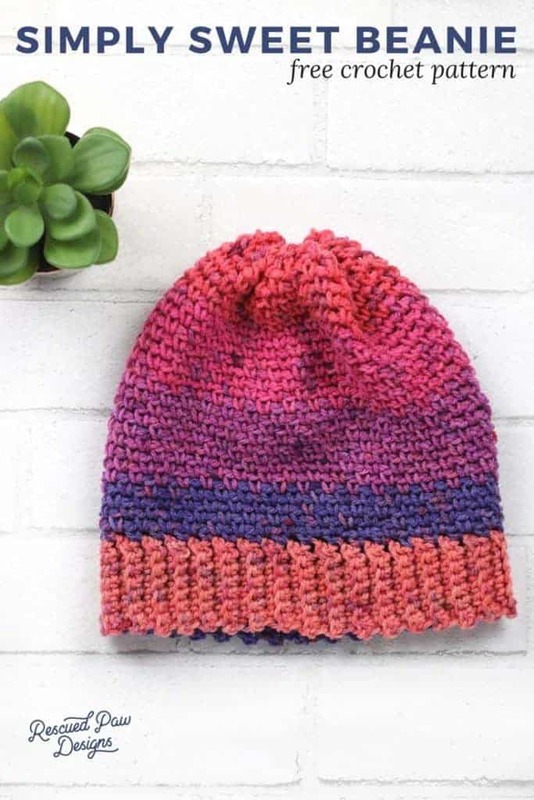 The pom striped hat is PERFECT for beginners to crochet because it uses just one stitch! 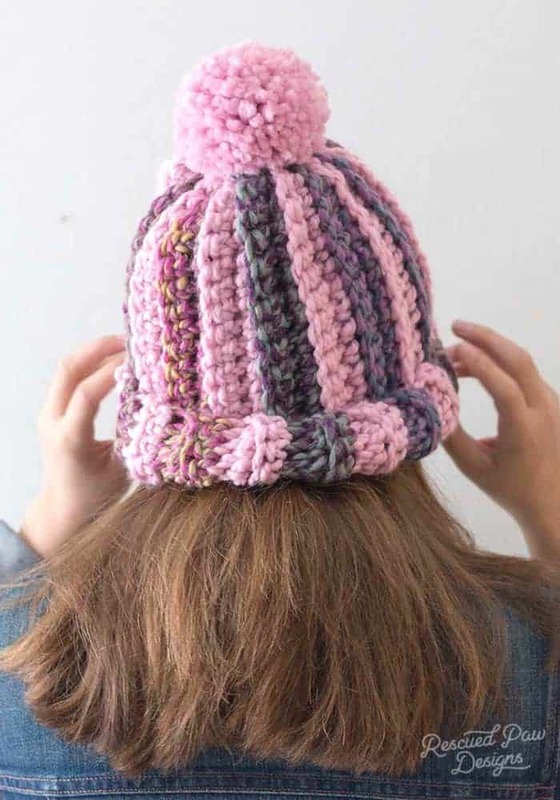 If you can single crochet then you can make this hat! I also wanted to mention that I used Wool – Ease Thick & Quick from Lion Brand for this entire hat. 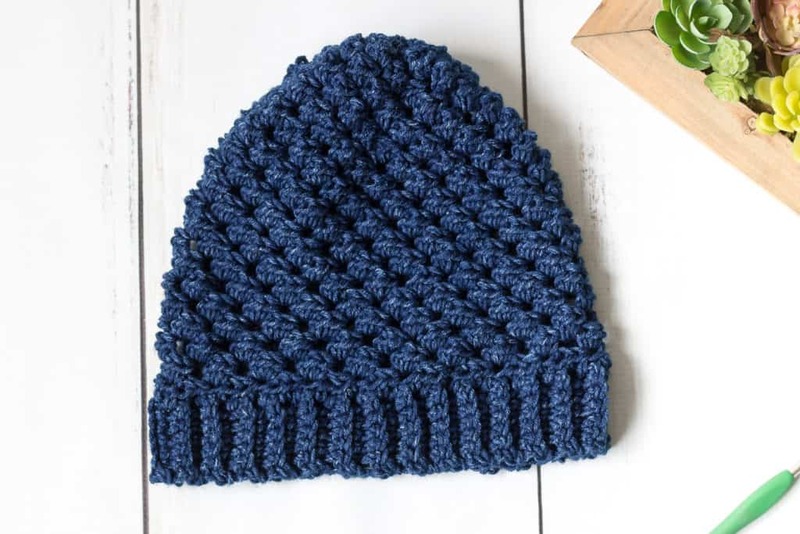 This beanie is super easy to make and uses just one cake of yarn! The color changes in the yarn means no weaving in multiple ends! This pattern uses Caron Cupcake yarn! That’s it for this crochet hat list! If you have any questions please feel free to contact me!